Located in southwestern Colorado, Durango is the epitome of the true ‘Wild West’. Rich in history and culture, Durango is a hub of tourism and interest on many levels, making it a great place for property investment. Nestled in the foothills of the mighty San Juan mountains, Durango is right on the edge between high alpine and desert environments, making it a unique location that has a temperate climate and is attractive for many different activities. Whether it’s sightseeing or hiking on any of the thousands of miles of trails in the area, shopping in Durango’s historic downtown district, riding the famous Durango & Silverton Narrow Gauge Railroad, or getting your adrenaline pumping with the many outdoor activities the area has to offer, Durango truly has something for everybody. The historic Durango area has much to offer and is the reason that tens of thousands of tourist flock here on an annual basis. It’s central proximity to multiple National Parks and other cultural destinations, such as Mesa Verde, Chaco Canyon, Monument Valley, Hovenweep, Canyonlands, the Weminuche Wilderness and many others, makes Durango a natural hub for many travelers looking to explore the southwest. During the summer months, it’s not uncommon to find Durango’s many hotels and lodging accommodations full to the brim with tourists or festival-goers. Tourists are also drawn to Durango itself thanks to it’s rich, Wild West history and charm. Our vibrant downtown is packed full of world-class restaurants, historic hotels and many unique shops and galleries. Multiple arts, music, film and sports festivals, and other special events draw in big crowds throughout the year. The historic Durango & Silverton Narrow Gauge Railroad, one of the very few remaining steam locomotive railways in the world, takes passengers from downtown Durango, through the breathtaking Animas River Valley, skirting the edge of the vast Weminuche Wilderness and several of Colorado’s famed 14,000ft peaks, to historic Silverton, Colorado and back again. Thousands of tourists flock here solely to ride this historic and indescribably scenic railway. 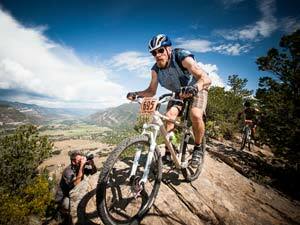 Many a thrill seeker come to Durango for the vast outdoor opportunities that surround our community. Durango has long been known as the “Mountain Biking Capital of the World” and every summer draws many mountain and road bikers to ride the thousands of miles of alpine single track trails and roads in the area, many of which start right in town. The Iron Horse Bicycle Classic, a road race from Durango to Silverton where riders attempt to beat the train, sells out it’s thousands of spots within hours each year. 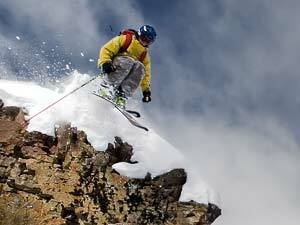 Beyond mountain biking, Durango is known for it’s world class skiing. Boasting many options from resort skiing at Purgatory, Hesperus, or nearby Wolf Creek and Telluride, to extreme backcountry steeps at Silverton Mountain or several snow-cat skiing operations, to simply riding the rope tow at the in-town Chapman Ski Hill, Durango is a very popular destination for tens of thousands of skiers and snowboarders each year. Unique to Durango is the scenic Animas River that runs directly through the heart of downtown. 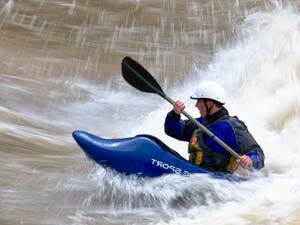 Boasting world-class whitewater rafting and kayaking opportunities, visitors can catch the thrill of a Class III whitewater raft trip and be back downtown in time for lunch. This is a unique way to experience an on water tour of the town of Durango as well as the excitement of whitewater rafting all in one experience. The Animas River Trail that runs the length of the river through town gives those seeking a more relaxed experience the opportunity to view Durango from a similar viewpoint. For those seeking a bigger thrill can catch a trip down the world famous, Class IV-V Upper Animas from Silverton to Tacoma thru the amazing Animas River Canyon. Durango is home to “Colorado’s Campus in the Sky” at Fort Lewis College, located on a plateau directly above downtown. At nearly 4000 students, Fort Lewis makes Durango a great place for a long-term rental investment property, especially since many students stay year round thanks to Durango’s vast outdoor opportunities. As you can see, Durango is an attractive place for long-term investment for many reasons. Thanks to it’s resort-like amenities, but with a lot more local culture and community and a much smaller price tag, Durango is affordably priced yet tends to hold its property value much more so than other Colorado tourist destinations. Let us help you find the right Durango property for your budget and needs. We’ll help guide you through the process and be there when it’s done to help you take care of your valuable investment and to make sure that it lives up to your expectations. Let Professional Property Managers help you with your future Durango investment property or properties.